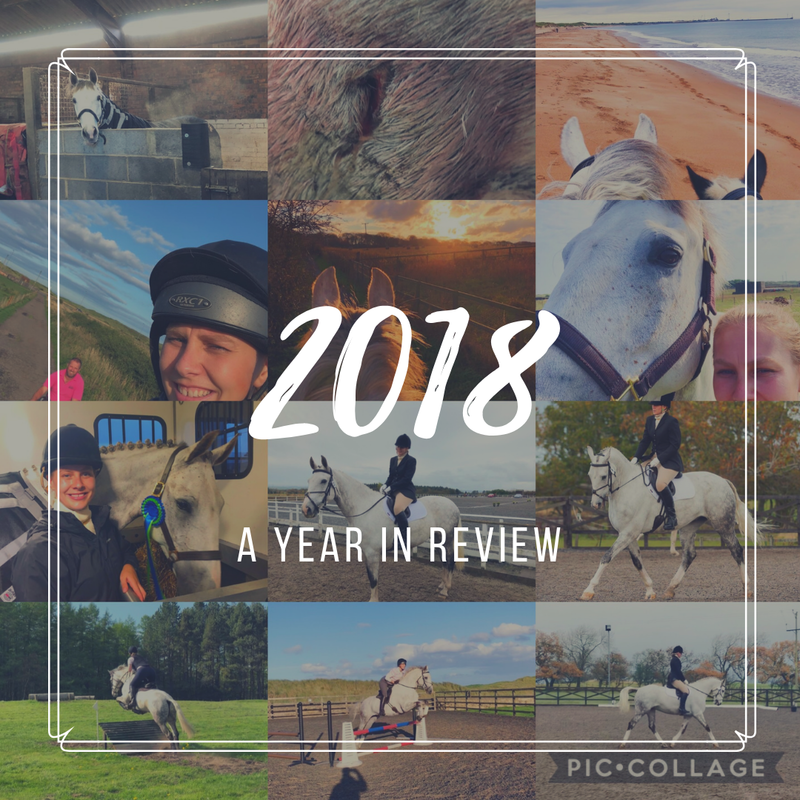 2018 has given us a year of everything... We've had weathers of all extremes, a hugely successful first year affiliated to British Dressage, a change of yards, a serious injury to treat, manage and rehab on both Louie & Andrew! 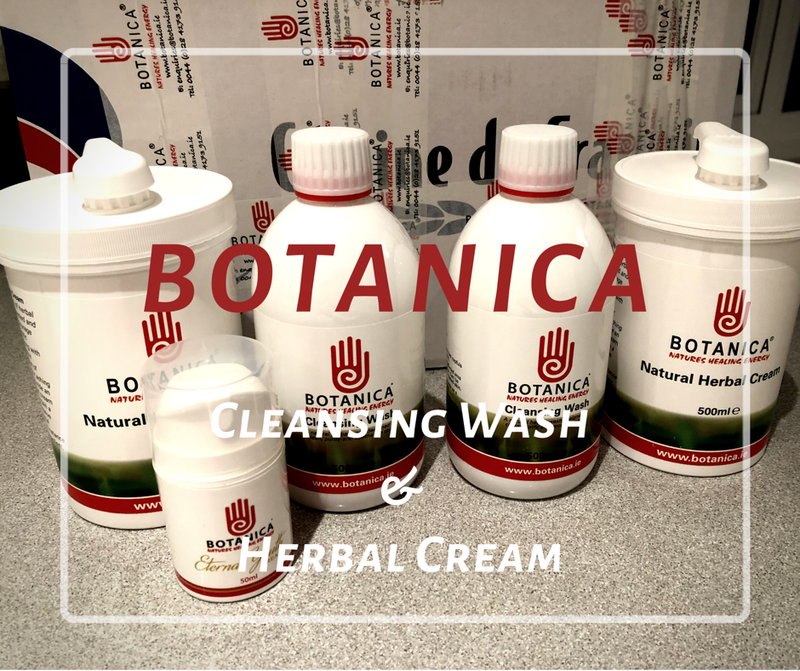 We've become a brand ambassador for Boudica Equestrian, two category nomination for the UK Blog Awards, as well as having LOADS of fun along the way! So here it is, our year in a month by month quick fire review. Sit back, enjoy...and maybe bring a cup of hot chocolate to enjoy along the way! Yesterday, I shared my Top Nine photos of 2018 from our Instagram account. The list was based on the most liked photos that we've posted across the last 12 months. But today, I'm going to share with you my FAVOURITE photos from across the year, because some of my absolute faves didn't always get enough likes to make the top nine! So without further ado, here's my own personal favourites from 2018. If you haven't yet heard of the Instagram Top Nine, where have you been!?!? I'm pretty late to the party posting it on 28th December... For those who haven't, put simply, it is an app (or website) that you can quickly type in your Insta username & email, and within a few minutes, it will show you your best performing posts throughout 2018. 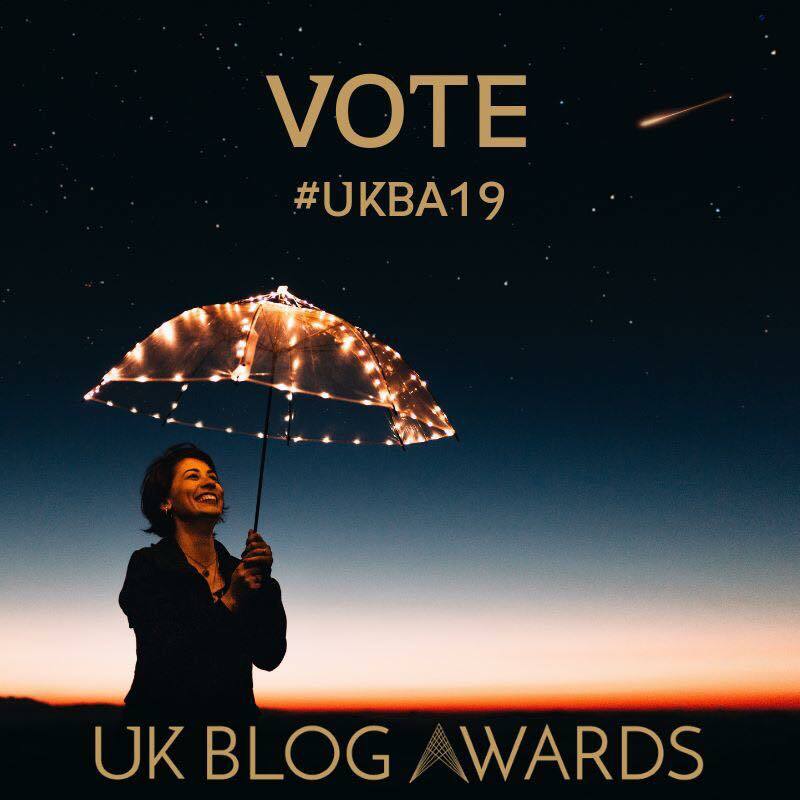 Vote for Team Tunnah in the UK Blog Awards 2019! Thanks, as always, to each and every one of you for being a HUGE part of my blogging journey, showing all the support & love that you have over the years. As you'll have read, we've stepped up to Novice recently & my main aim before the end of the November was to achieve three 62%+ scores to make sure we have our 2019 PetPlan Area Festival qualification. 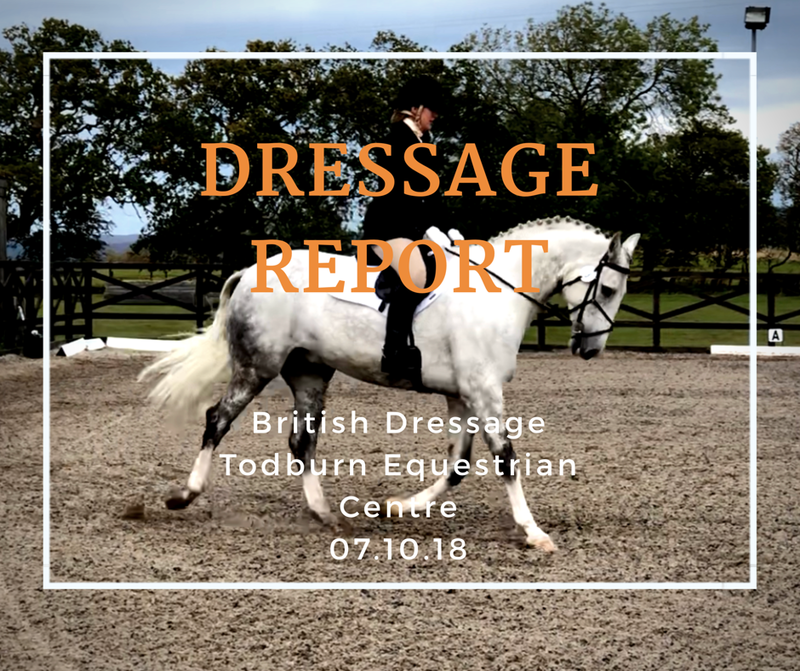 We already had two scores from our dressage competition at Todburn the week before, so we needed one final score to be qualified. I'm SUPER pleased to say we got it, so why did we leave at the end of the day feeling a little glum? As well as a competition report, this post will demonstrate how important it is to reflect, take the positives and use a not so good day to create a plan to produce good days! It's that time of year again when we're all starting to think we should have started our Christmas shopping a few weeks ago. But panic not...there is still plenty of time to make sure you get that perfect gift for equestrian friends & family. Take a flick through my 2018 gift guide to find those perfect Christmas stocking fillers! If you've been following us along on social media, you'll know that the back half of October was a bit of downtime for both Louie & I, but heading into November we set ourselves the goal to achieve the remaining points at Prelim Silver that we needed to in order to qualify for the Winter Regionals. On 1st November, as planned, Louie was fully clipped and started back in work. To be fair, he had only had just under three weeks off, so it wasn't too much to consider when bringing him back into work, and with a big green tick from both the vet and physio, we knew we were good to go! 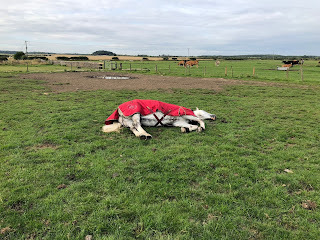 Before I'd even clipped Louie, I entered two long arena tests at Alnwick Ford Equestrian, with the only objective to achieve scores of 66%+ to gain some extra points for that qualification. If you're a regular reader, you'll have seen that October was dominated by Blogtober - a challenge undertaken by bloggers of all types all over the world. It challenges you to creating and publishing a blog post a day throughout the whole of October - a total of 31 posts each with a different topic. For me it was quite a big challenge and one that I'm actually really proud that I was able to maintain throughout the duration. Finding dedicated time to a blog post every single day for a whole month is difficult, especially when it is around topics that I wouldn't normally choose to write about. Couple that with ensuring that I add a personal and relatable tone to each post, as well as my usual care and attention that goes into each post, Blogtober took up a lot of my spare time. 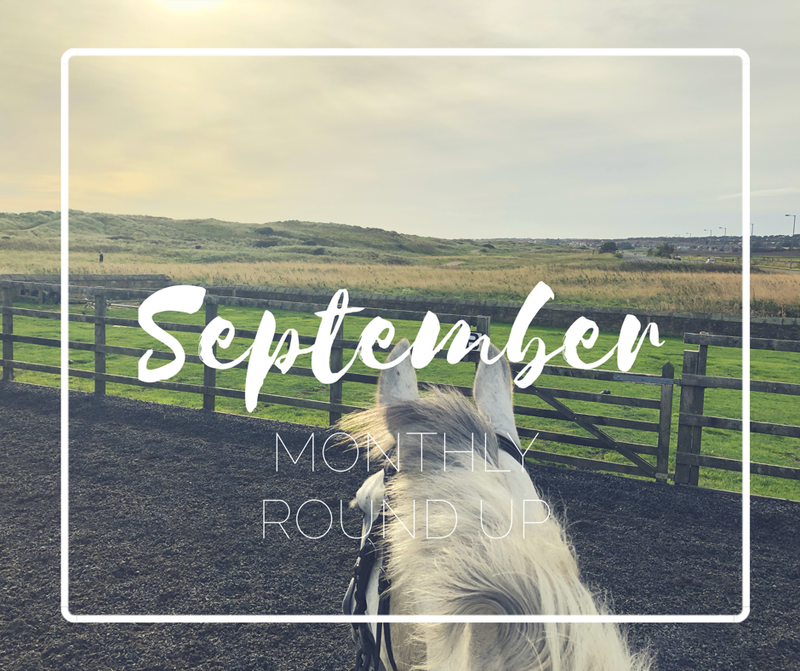 If you missed any of the my posts, you can catch up on all of my equestrian blogtober posts in one place! However, it wasn't all that happened during October. WOW! Here I am at the end of the equestrian blogging challenge of Blogtober…& for me, it really has been a challenge! As with most of the equestrian bloggers that I follow, blogging is hobby, secondary to my hobby of riding, training & competing with Louie, which is second to my professional job. When life gets busy, you can often see that the number of blog posts I push out, falls off. So to have been able to deliver a blog post every single day for 31 consecutive days, on a variety of topics that are mostly new areas for me to blog around, is a real achievement. What have I learnt while taking part in Blogtober? Unfortunately, I don’t have a photo of my early years of riding, but this photo is of the first time I saw the canny little mare that would get me back into riding and back into a total addiction. This is Grace, of as I nicknamed her, Gracie Moo. She was a 15.1h 12 year old mare who was owned by a girl who had relocated with her husband in the army. The girl’s Mum was now looking for someone to come and help out with Grace and enjoy her. #Blogtober Day 29: What Equestrian Discipline Would You Like To Try? To start this post, I wanted to flip it around... What do I wish I had known when I was first a horse owner? 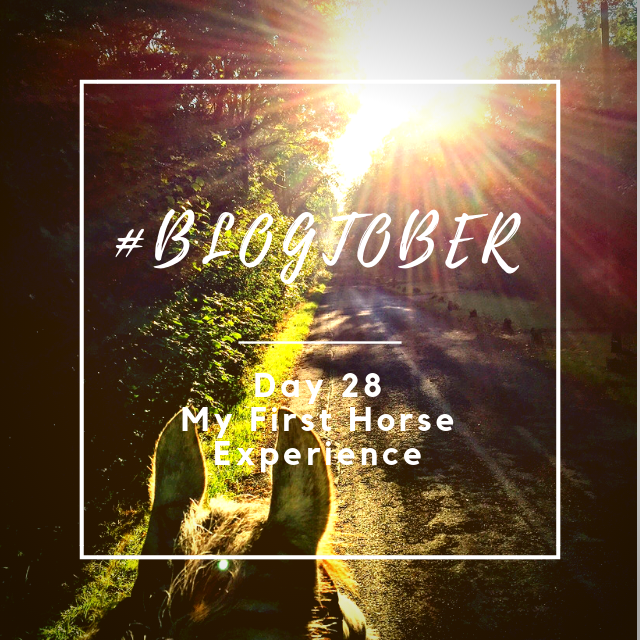 So, in today’s Blogtober post I’m going to bring you my top three tips when buying a horse for the first time! 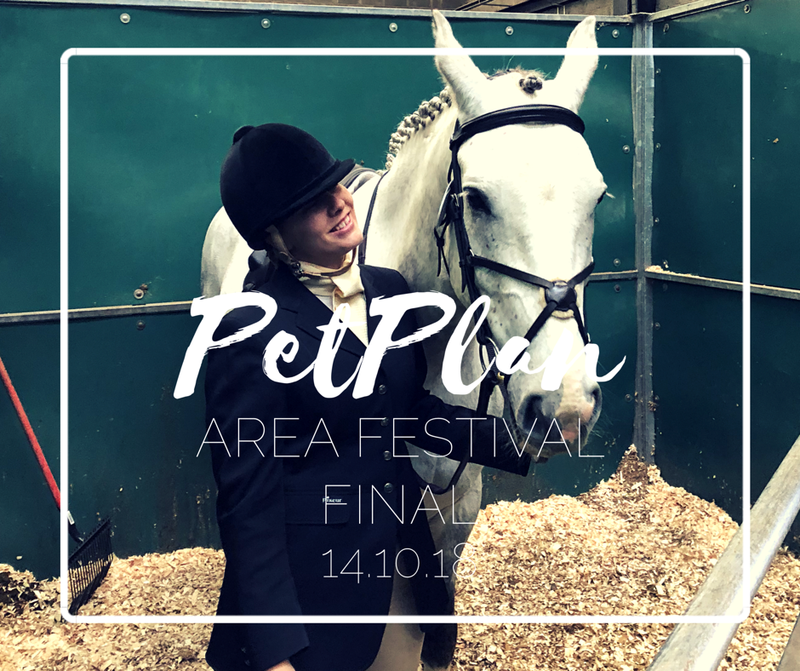 Recently, if you're a frequent reader, you'll have seen that we had a VERY successful day competing at the PetPlan Area Festival Finals. In the week leading up to the finals, I took time out to watch Louie & mine's first ever dressage test together - it was the first time Louie had ever been in a dressage arena. We'd only been together 3-4 weeks, he was my first ever baby horse, and was a very wobbly and excited 3 year old... 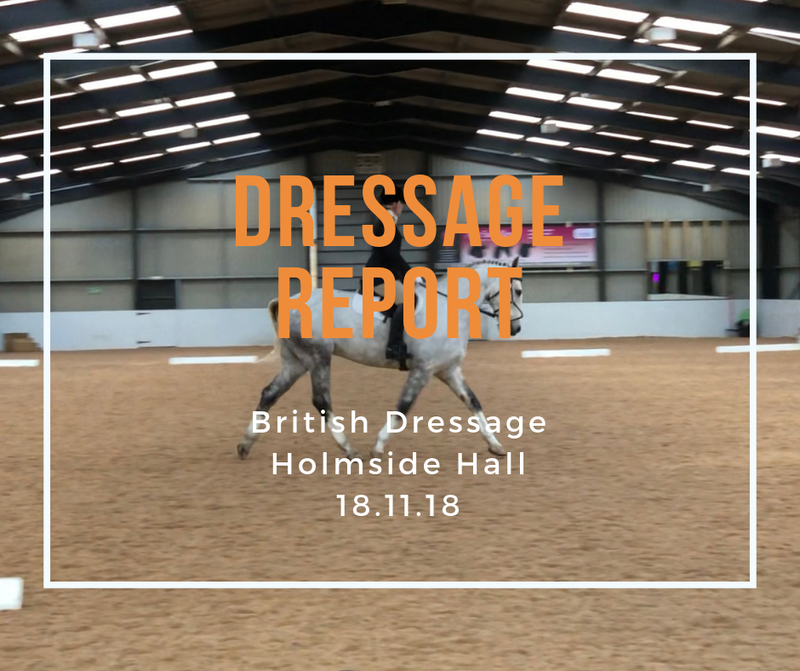 I actually wrote a blog about our first dressage party together. I cannot believe the difference...and not just in how much whiter he has become or how much he has grown!! After a few days being slightly immobile due to a problem with my back, today I headed back to the office. I found it quite difficult as I am super stiff in my back and unable to bend forward or bend to sit down properly, but I managed and now sitting typing this up, I feel much better for having a more mobile day...even if it was a little painful at times! It's Tip Tuesday!! And this week's tip is all about how to keep warm when you're out and about hacking throughout autumn and winter... As you saw in day 13, my ideal horsey winter is an early morning hack out in the cold, crisp sunshine, so I thought I'd let you know some of my top tips that help to keep me snug as a bug. It didn't take me long to come to the conclusion as to which was my favourite motivational quote, but in doing so, I realised it actually spun a story of many more inspiring quote. You can find a collection of my favourite horse related inspiration quotes from our blog, or also check out my Pinterest board dedicated to it! But which exactly is my favourite? As I write today's Blogtober post, I've got no plans to attend any high level horse shows this autumn or winter. Instead I thought I write about the ones I would really like to go to maybe next year or in the coming years. Based in Lincolnshire, it's actually not too far for me to travel to watch this event live, and almost every year I sit and say "I'm definitely going next year"... I've yet to head down and experience it. Maybe 2019 will be the year we'll go! What do I want to achieve in our dressage? Being that I struggle carving a basic smile out of the side of a pumpkin, I'm not about to share a collection of amazingly carved pumpkins, all in a horse theme, ready to be admired. In fact, I'd say I even struggle to carve and scoop out the centre of a pumpkin... So now I've established I definitely don't have the required skills for basic pumpkins carving, how will I tackle today's Blogtober topic? Simple. I'm going to bring you the best horse themed pumpkin carving from across the web, OK, well mostly from Pinterest!! So here's my 6 picks! There are a few equestrian bloggers that I thoroughly enjoy following and reading their latest posts. Usually it is blogger with a very personable tone and style to their posts, as well as being relatable and telling their own unique story. Hopefully, they are few and far between, but right now is prime time for hoof abscesses to show their very ugly and unwelcome face. As the ground conditions, go from hard and dry to soft & moist, our horses hooves become more absorbent and physically softer for things like sharp stones to make a puncture in the soles. Monday we headed to The Pegasus Centre for our monthly training session with Cathy Burrell. We worked on putting elasticity into my arms to give a better overall elastic contact to help the inconsistency we feel with dipping behind the contact & pulling it forward. So, I’ve cheated a little bit with this post… From the title, I should be writing it at the end of the day to let you all know what I’ve been up to. 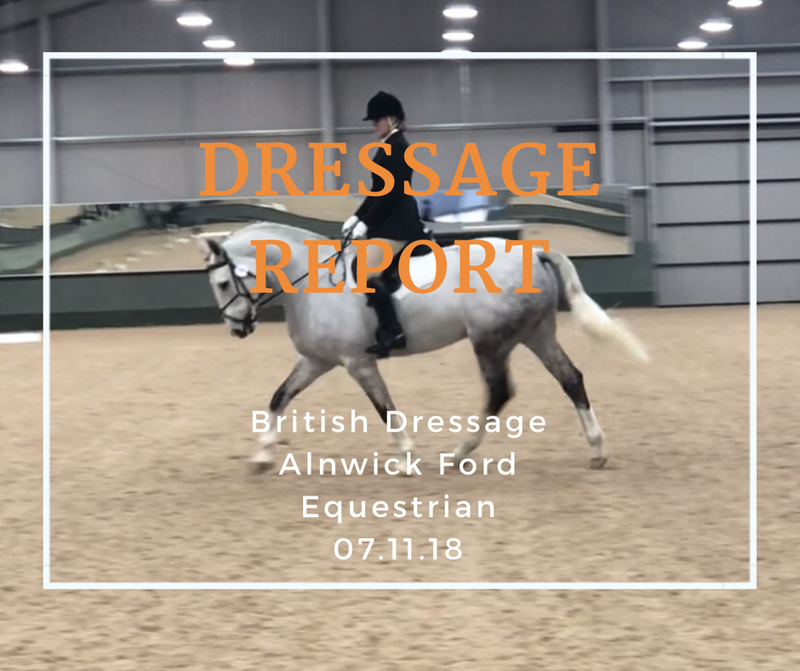 Well, I’ve been to Morris Equestrian in Kilmarnock for our Area Festival Final so this is a pre-written post, but I’m sure we’ll do a full competition report as soon as we are back! Does your routine change much as the seaosn do? As autumn moves into winter, many of us will begin to make changes to our horse's routine - some smaller and some bigger. Whether it is simply a change to their turnout, or a different working regime, we all make changes. 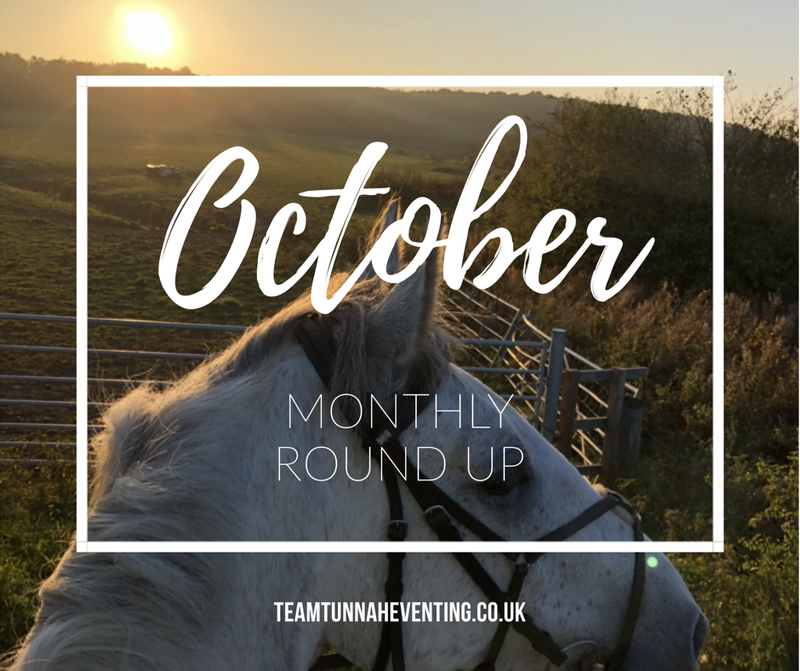 So what's my autumn & winter turnout routines? It won't come as any great surprise that today's Blogtober post is going to contain multiple references to Premier Equine & demostrate even more that Louie is definitely better dressed that I am! So, if we look at his autumn collection, what's included? 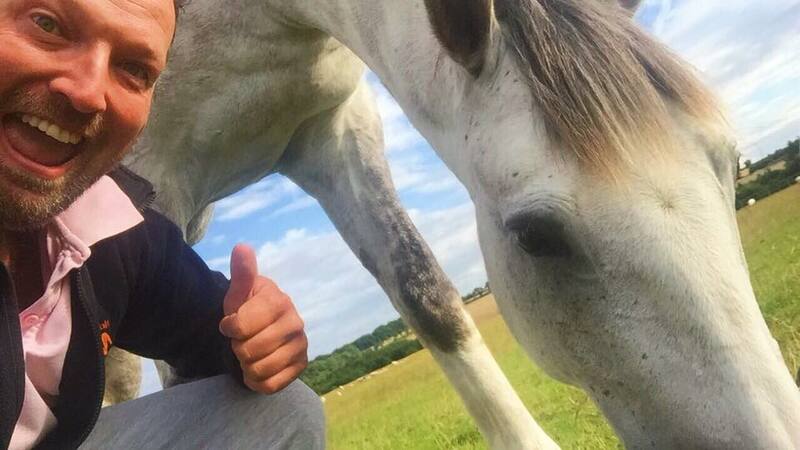 Well, today's a short one, I have two things - one horsey, one not! Every Tuesday during Blogtober is a tip. Our second one in the challenge is getting your stable ready for longer time spent in it! Here's my top 10 things that I really love about Autumn! Moving from summer to autumn and then into winter used to really bother me, but over the last couple of years it hasn't really bothered me. So what do I put that down to? Well that's exactly what today's #Blogtober is all about... my top tips for moving into the autumn season. Just like my tip Tuesday post for day 2, make sure you make those harder months a bit easier on yourself - have everything sorted out and to hand & eliminate the stress of what you're not ready for. Yesterday's Blogtober post was all about layering up the jockey with my essential being baselayers. Today's is the horse version - rug liners. I find it SO frustrating in the UK with our varying temperatures - every day can be massively different. So a few years ago, I took the plunge and invested in a full stable and turnout wardrobe for Louie with Premier Equine's rug liners. I often end up apologising for my lack of activity on my blog and it's usually a good way to tell how busy all the other parts to my life are. So in true nature of today's topic, here's the average day in the life of me! It's day two of Blogtober & today's topic is providing an Autumn related tip. For me, taking time out during Autumn, it is a great use of time to get prepared for those winter months that are just around the corner. Make life easy for you and get everything ready from your tack room to your horsebox, to your clothing to everything that your horse needs. Here's all the posts we've included in Blogtober! Equestrian Bloggers worldwide take up the challenge of Blogtober! Blogtober is a challenge to bloggers of all shapes, sizes and niches worldwide to create content every day throughout October. It's a tough challenge for those of us who blog as a hobby - creatively thinking and bringing to life a post every single day. Many equestrian bloggers have joined into this concept in 2018, varying from publishing a blog post every day to snippets of content posted only on social media. All of the content can be brought together through the #EquestrianBlogtober hashtag, as well as those of us choosing to publishing a blog post also joining the blogtober blog hop below! I actually nearly titled this post ‘...to a non-horsey husband’ but I think that wouldn’t really have reflected Andrew and just how much a part of our team he is! 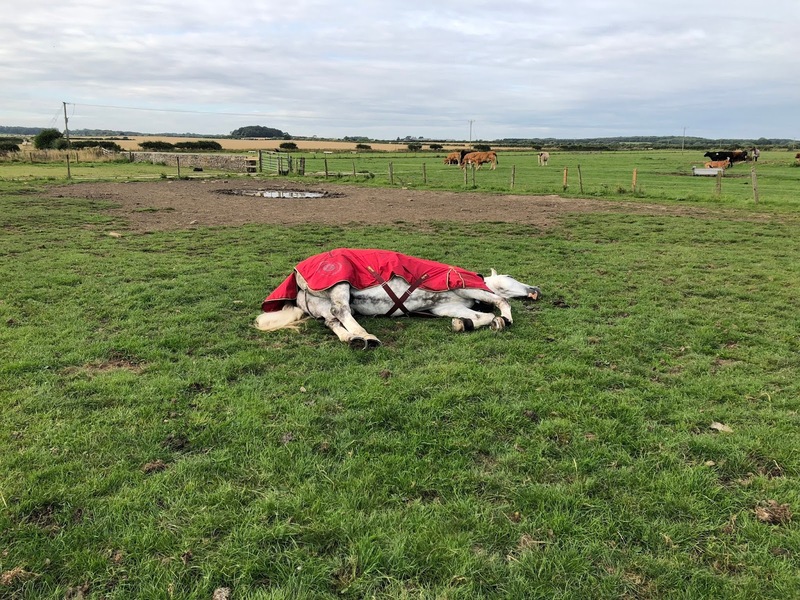 If you know us, you’ll know how much Andrew is involved with my horsing around, from training & competing to mucking out & making sure we’re topped up on feed, he throws himself into it all! Maybe I should promote him to Team Manager...? But what about the winter months? 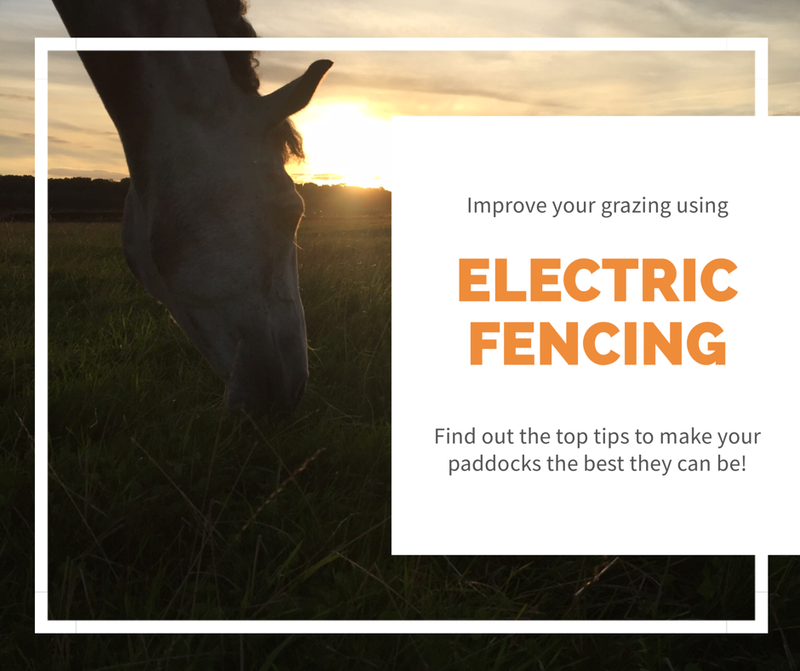 There’s plenty of uses for electric fencing in the wetter and cooler months of the years. 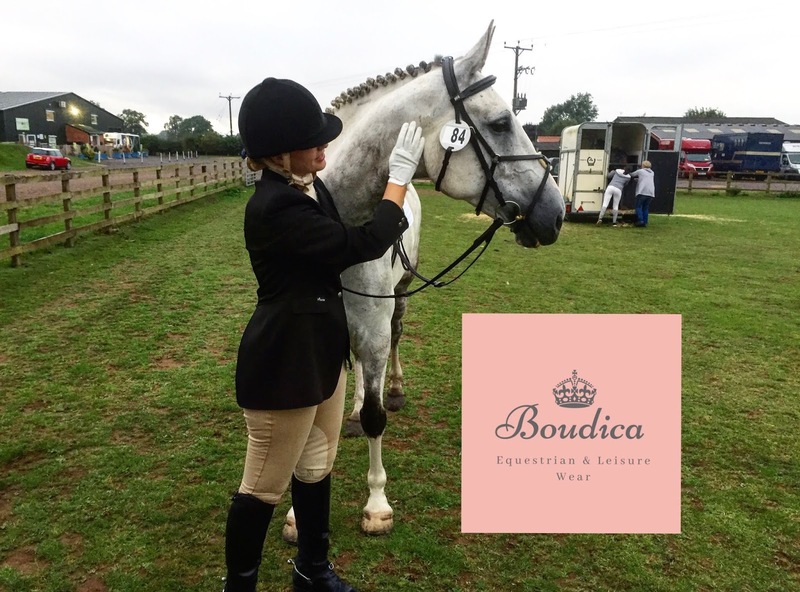 I’m super proud to announce that we have recently confirmed a collaboration with Boudica Equestrian, becoming their latest Brand Ambassador alongside Wiola Grabowska (Aspire Equestrian). 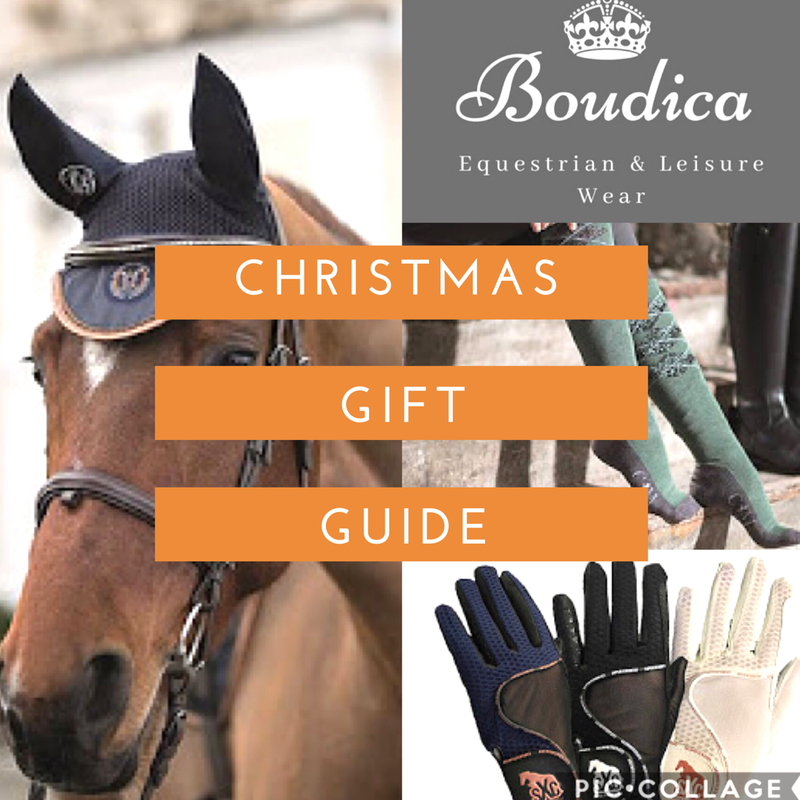 Boudica Equestrian launched earlier in 2018 by founder, Laura Williams. With her passion for fashion & love of equestrian, Laura launched her own online clothing store to bring stylish equestrian & leisure wear while being affordable too. As a Mum on the go herself, Laura aims to bring clothing ranges that are perfect for around the yard or on the school run or supermarket sweep. 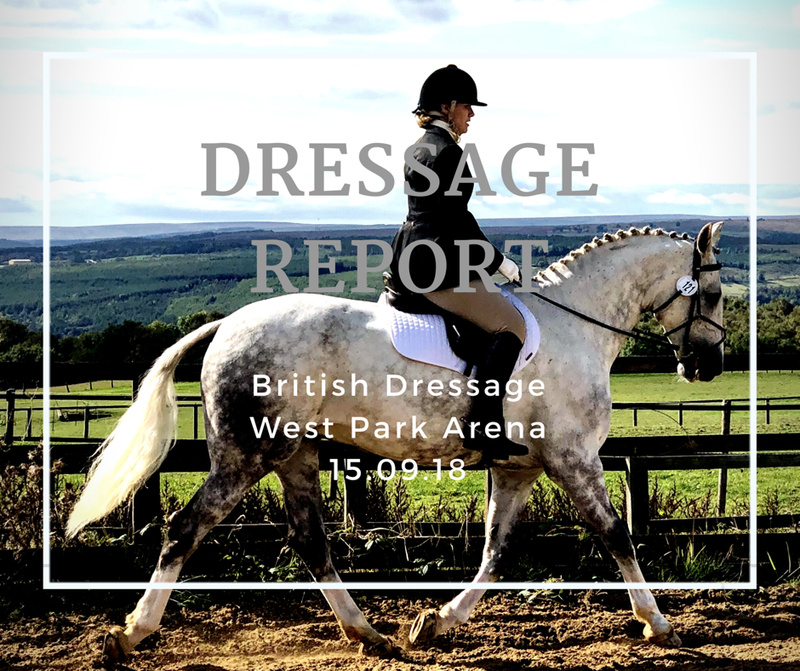 We headed to West Park Arena to enjoy a couple of dressage tests, our first party since the Area Festivals mid-August, and although we had a dressage training session recently, we've not spent a lot of the time flat schooling since then. So here's how the day went.